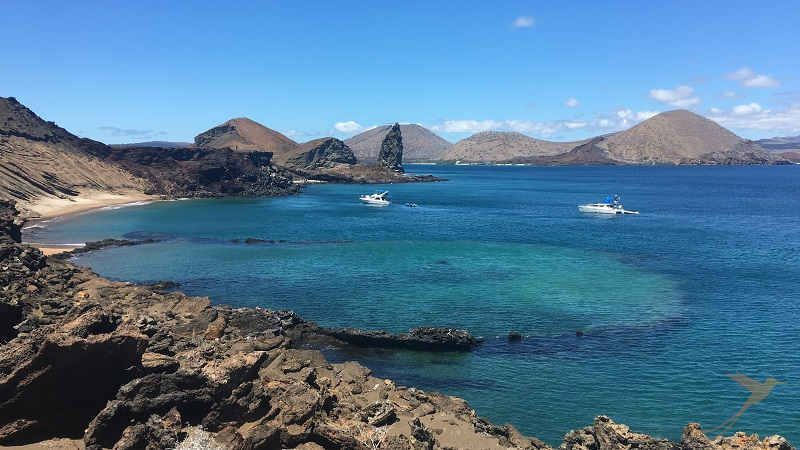 At the beginning of October, Alexandra, our travel advisor, went to the Galapagos Islands for a couple of days with a group of students to oversee logistics. During her time there, she spent 3 days on Santa Cruz island and 3 days on the island of Isabela. Here you can read some more about this amazing Galapagos trip! After a smooth arrival at the Baltra airport, we took the short bus ride to the Itabaca Channel. It is always great for me to see the astonished faces and shouts of “Ahhh” and “Ohhh” from first-time visitors when we approach the channel with the blue and turquoise waters and the first wildlife sighting: lazy sea lions sunbathing on the dock and welcoming the visitors, a pelican plunge-diving from the air, with its distensible pouch which is used as a scoop-net to catch fish. 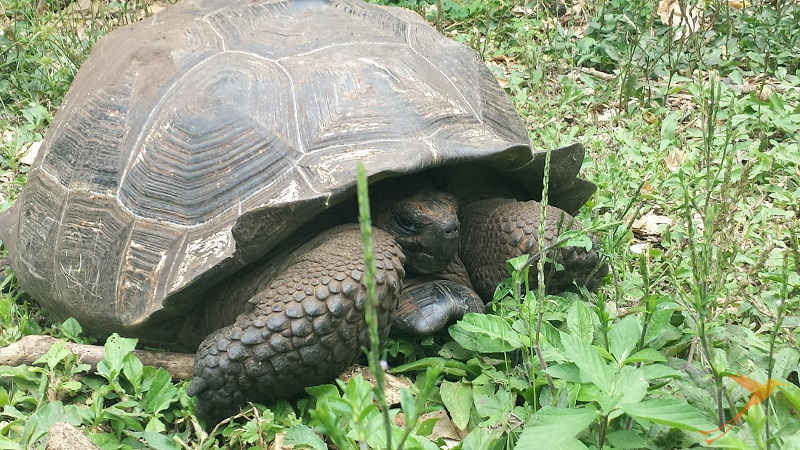 Soon after the crossing of the channel and another bus right up to the highland of Santa Cruz, we arrived at one of the ranches where we could observe the Galapagos giant tortoises in their natural habitat on a walk through the green vegetation. With some weighing up to 600 lb, four feet in length and living for 100 years on average, the giant tortoise truly is an evolutionary feast for the eyes. Our first adventurous day ended with dinner at our hotel in the small village of Bellavista, located in the highland of Santa Cruz. 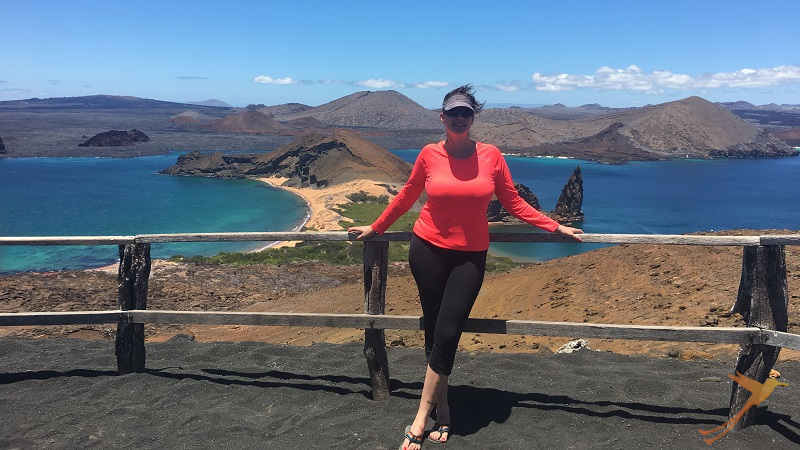 The next morning, we woke up at 5:30 a.m. for a hike on Bartholomew Island, where we climbed 326 steps to take in one of the most iconic formations in the Galapagos—Pinnacle Rock (the climb includes a wooden staircase constructed by the Park Service to protect the island from erosion). Definitely worth the early morning! First, we had a delicious breakfast on the small catamaran and a beautiful sunrise to start the day. At arrival on the island, we all felt like arriving on Mars: vegetation is sparse on the first look, the lava formation has a reddish tone to it. The Tequilia plant, which appears to be dead brush, is actually made of leaves covered with small gray hairs, which help prevent moisture evaporation and reflect sunlight and the Galapagos lava cacti colonize the new lava fields. The panorama on top provided us with a clear view of the Pinnacle Rock, the immense black lava flows at Sullivan Bay and the rest of Santiago Island, and Daphne Major and Minor. A play of intense color! 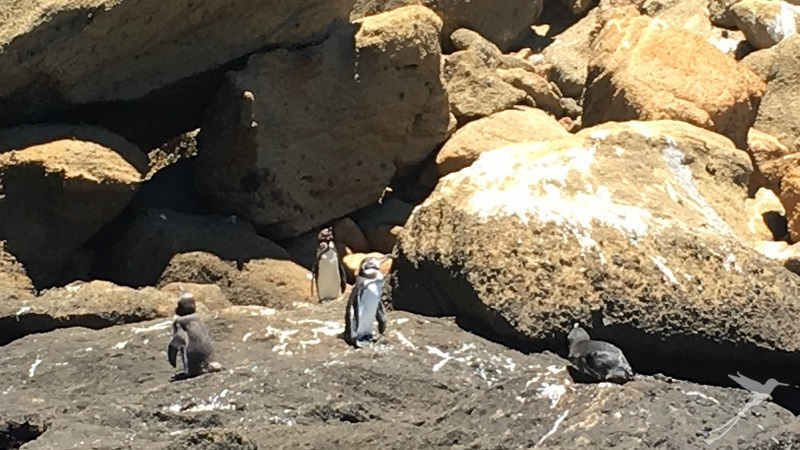 On the panga-ride in the bay around Pinnacle Rock, we were able to spot the Galapagos penguins, one of the smallest species to be found in the world and the only one living north of the equator. We arrived via wet-landing on the beach north of Pinnacle Rock, from where we went first to explore the southern side, one of the smaller Green Sea Turtle nesting beaches in the archipelago (nesting season is from January to March). With amazement we watched Galapagos white-tipped sharks gliding by close to the shore. Snorkeling after this? We weren’t sure! After being assured by our guide, we put on our wet-suits and jumped into the chilly waters and were soon surrounded by all kinds of tropical fish. After a delicious lunch on board (the cook is great! ), we finished this perfect day tour to Bartholomew Island with sightings of dolphin on our way back! On our third day, we had planned a short visit to the Charles Darwin Station in the morning, before taking the public boat to Isabela Island, where we would spend the next 3 nights. The Charles Darwin Station is famous for its work on conservation, restoration and sustainable development projects to ensure that the archipelago is well-managed in the Galapagos Islands. During our visit to the station we got to see tortoises at all stages of growth from unhatched eggs to full-grown adults. Did you know that the temperature of the sand plays an important role to define the gender of the baby tortoises when they hatch? After this informative visit, it was time to board our boat to Isabela for our 2-hour boat ride to the island. For me, Isabela Island is the most charming island with its white-sand beach right along the small town of Puerto Villamil. But read more about it by next week! 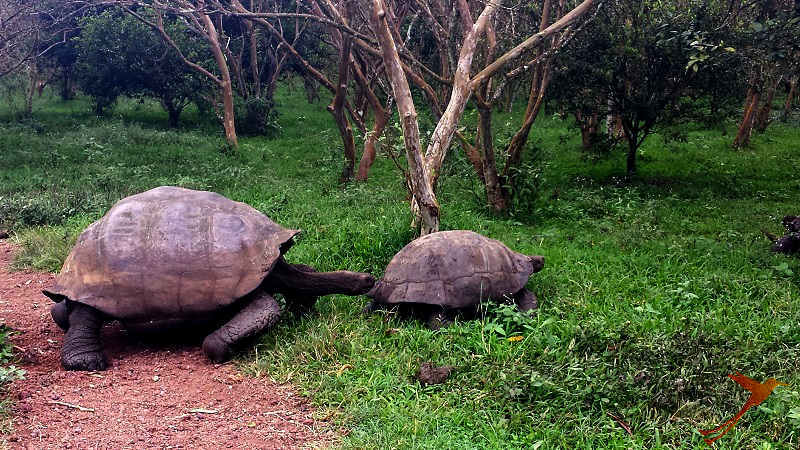 For more information on Galapagos Island-hopping-tours, click here.